clean bullets, hands and barrel! No sticky lube hands! No scrubbing barrels! 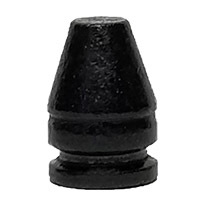 Excellent bullet, accurate and consistent weights. 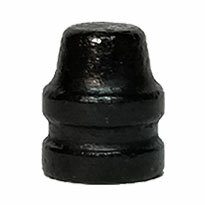 Once you go 'red' (or black), you'll never go back to lubed bullets....(except for cheap)...which Badman also has! No more lube/lead on the hands. Loading dies stay clean, no need to scrub the barrel after the range. 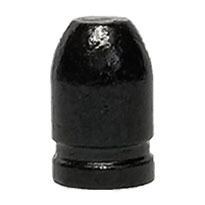 Very accurate bullet. Save yourself time and money! Wow, one of the best prices! You'll never want to shoot lubed bullets again, never ever! Bullets are well made, the only issue I have is that they mic anywhere from .455 to .457 so I’m just thinking this batch missed getting run through the sizer, so I just ran them through mine, I’ll still be buying more in the future! 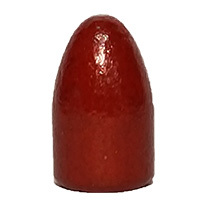 This is not possible as the bullets cast raw at .454”. We’re guessing you were checking them with a low cost digital caliper which is not accurate. We checked the rest of the batch this order came from and they all size correctly. Our process also eliminates the chance of bullets not being sized. I have shot several thousand of the 185 gr swc over the last few months. Flawless in my custom government 1911 range gun. Very accurate and no problems feeding. 800fps 2 inch at 25 yards. Load great in my Hornady lock and load. Gonna keep buying em! Finally got to the range to test these bullets. They shoot great. Nice groups touching at 25 yards off the rest. Will be purchasing more.